CardMonkey's Paper Jungle: Blog Candy Winner! Congratulations, GiGi! Hearty congratulations to Gigi McKellips of Wisconsin who can now protect her Cricut when she is going "crazy in the craft room". She has won one of CardMonkey's handmade Cozy Cricut Covers, the candy offered to a random participant in last weekend's Christmas Cards and Gifts Blog Hop. Gigi, I've enjoyed checking out your website. 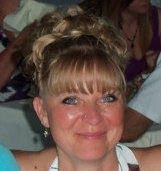 Check it out, CardMonkey fans, by clicking HERE to link to Gigi's website, or by clicking on her picture, above. I totally love Gigi's blog posts and ideas ... I will be lifting some soon, Gigi, so don't be surprised if you see my take on your idea, published here soon. Meanwhile, Gigi, please contact me to let me know what color combo you'd like for your cover (base and trim), as well as what text you'd like embroidered upon it. You can reach me at cardmonkey at comcast dot net. 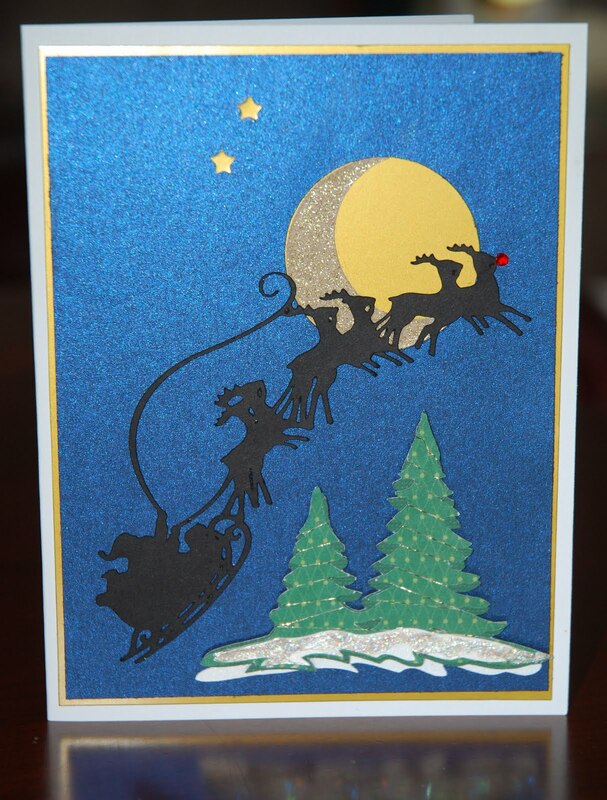 Here is one of my favorite cards I made this holiday season. 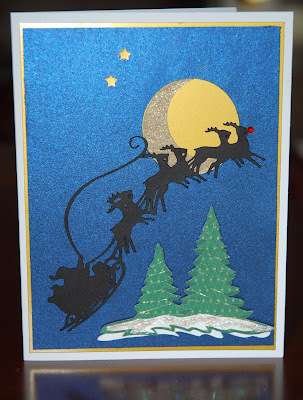 Santa's carriage and reindeers, as well as the trees and moon were cut from Cricut cartridges. Can you get which one(s)? Try using http://www.cricutsearch.com/ to find the answers. I embellished it with mini stars; painted the snow beneath the trees using white and platinum Stickles. The trees are wrapped in super-fine gold filament. 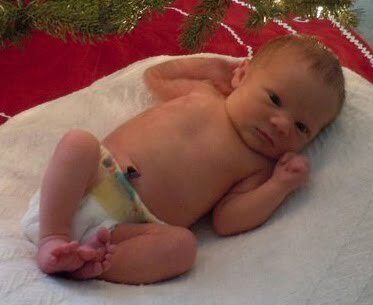 Also, by popular request, I am posting a picture of my granddaughter Charlotte, my first grandbaby. Isn't she just perfect!? Congrats Gigi! Oh my gosh, your granddaughter is precious!! You must be in heaven. Love your card and had fun on the hop!! Oh Ellen, thank you SO MUCH! You are such a sweetie to promote my blog! Thanks again for the WONDERFUL prize! I can't wait to have my very own customized cover! HUGS! P.S. You grand baby is ADORABLE!! !